Will Special Event Insurance Protect Fireworks Displays From Damages? Most people associate fireworks with fun and festivities. 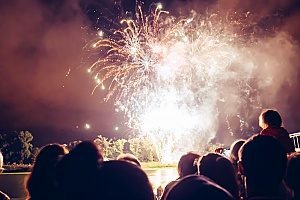 Although watching a fireworks show can be a relaxed and leisurely experience, these extravagant displays put pyrotechnicians at risk for potential liabilities. 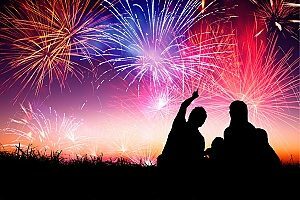 Special event insurance is recommended to all pyrotechnicians who put on professional firework shows to avoid costly damages from occurring. Learn more about special event insurance, what it covers, and why you should speak with an entertainment insurance broker to properly protect your business. Special event insurance provides event holders with broad protection against lawsuits or damages due to bodily injury or property damage to third parties. The policy may also cover the venue in which the event is held, as well as any sponsors of the event. Event planners can also purchase additional coverage that protects them from other liabilities, such as even cancellation. You may be wondering if you really need special event insurance as pyrotechnician. Most types of professionals can greatly benefit from having special event insurance as litigation becomes more rampant. Special event insurance is the best way to protect your business and finances. Organizing a professional fireworks show takes extensive planning and effort. When something goes wrong, all of your hard work could go down the drain if you are not properly protected by special event insurance. Having ample insurance ensures that your business is covered if you must cancel or postpone the event due adverse weather or a natural disaster that is out of your control. Most policies will also cover cancellations due to illness, serious injury, or death. Depending on the type of policy that you purchase, special events insurance may also provide coverage for other situations. Special events insurance generally provides rental coverage. This includes any equipment that has been rented from a rental house or venue. With special event insurance, any equipment that becomes damaged may be covered. Special event insurance may also include third party property coverage. This type of coverage provides protection for the location which is rented for the special event. Personal injury coverage is available under most special event insurance policies and provides protection against claims of libel or slander, malicious prosecution, false arrest, oral or written slander, or wrongful entry. Your special event insurance policy may provide protection for your employees also. With employers’ liability coverage, any personal injuries suffered by your staff may be covered. If you plan to serve or sell alcohol at your event, you may want to consider host liquor liability coverage. This type of coverage provides protection in case of an alcohol-related event. Having general liability coverage can also be useful in the event of a loss due to property damage or bodily injury by any type of contractor. If you or an employee uses vehicles for work-related purposes, having commercial auto insurance is a must. This type of insurance covers owned or rented vehicles used for the event. No matter how well you plan an event there is always something that could go wrong. From unexpected injuries to damage to nearby property, without the proper insurance you could be looking at hundreds or thousands of out-of-pocket expenses to pay for damages. The more people that will be attending your event, the higher the chance that something could go wrong. Depending on where you choose to hold your event, the venue will likely require you to have some type of liability insurance before you are able to reserve the space. To ensure that you are well protected for your fireworks display, it is a good idea to purchase your special events insurance policy as soon as possible. Event cancellation coverage must be purchased at least 14 days prior to the function date. However, incidents can occur weeks or even months ahead of time that could affect your ability to continue on with the show. That means you can better protect yourself by investing in a solid insurance policy far in advance. Also ask the venue where you will be hosting the event about what type of liability protection is needed. When it comes to purchasing liability insurance for events, it is not always easy to find the best policy. Most businesses rely on general liability insurance which provides broad coverage for incidents such as faulty products or slip and fall accidents. However, for specific industries such as pyrotechnics, general liability is not always enough. Special events insurance is often the go-to policy for pyrotechnicians who host professional fireworks shows. For more information about special event insurance and the steps on how to acquire a policy, contact an entertainment insurance broker at MFE Insurance Brokerage today. Previous Post: « What is Directors & Officers Insurance?